The previous couple of months were about spreading your roots and improving your life. The past month gave us a little time to have fun and just make this roots more stable. This month is all about sprouting from this roots and growing into the best version of yourself. It’s a month of exploring, expansion and evolution. The energy it brings enables us to open to our full potential and shine. 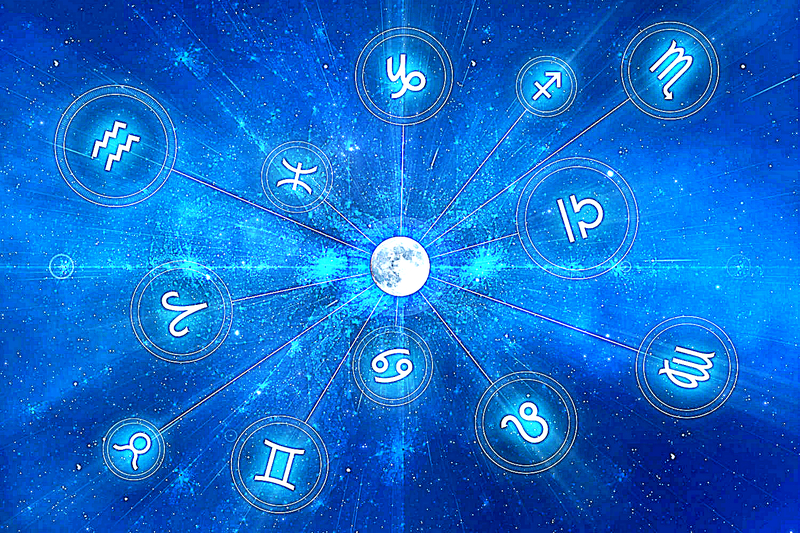 Here is what astrology experts from Gostica predict that December will bring for each Zodiac Sign! The barriers and blocks have been removed and the communication is different, slower, simpler. This is thanks to better listening qualities and greater tolerance towards those who do not think the same way as you. This different attitude will also produce a different reaction from those facing you, resulting in a satisfactory relationship life. You will finally feel accomplished. This month will allow you to feel welcome and recognized for your values. You are ready to manifest yourself to the world to distribute your knowledge from the many personal experiences you have gathered so far. Important jobs in the professional field will take time and dedication, but it will not be hard for you, as it will be something that you’re too passionate about. The same thing applies to relationships. Is there a girl or boy you have met some time ago and like so deeply, but didn’t seem to pay attention to you? Well, they will finally notice you! For those who are already in a couple, the relationship will be closely watched and if you find that it does not work anymore, and you find yourself annoyed by even the way your partner eats, I do not think there is a future! Farewell! Saturn will finally come out of the opposition on 21st. A radical change awaits you during this month. A true metamorphosis has been accomplished over these months. Many of you have changed work, home, office, relationship somebody has become a parent, someone else may be a grandfather etc. You will feel at peace with the world but what’s more important, you will feel at peace with yourself and you will perceive a great sense of inner unity that will allow you to accomplish anything. Your new life is starting! For you cancer, the creative aspect is particularly linked to the concept of procreation, especially if you are a woman. You have matured enough and you feel ready to take on the role of a parent or in any case assume greater responsibilities. For those who already have a family, this is the beginning of a very creative phase and you will dedicate yourself to everything that really inspires you. You are entering a nice phase in which you will love yourself, for what you have become after a jubilee year of squatting. For men, creating means to also be aware that they no longer depend on “mom” and start seeing a potential partner in their lover. Love will take your heart and turn it into a wonderful tool. Love stories take strength and now you want something more than the normal relationship. Even someone will decide to join their hearts under one roof. Paternity and maternity will be an integral part of your life project. For you who are no longer in the age of physical procreation, love and passion will manifest in what you will, dedicating yourself to the expression of your talents and vocation. Someone might decide to leave the job, others to take longer time for themselves. However, you will achieve the true freedom that is: to be! Now you are ready to take care of others. You have the right mental ability to serve your emotions, making you become such beautiful people both inside and out. Not that you are not already, but being coherent will create a single more charm. Moreover, you are the sign of beauty, cleanliness, and perfection. However, the most important aspect I like to emphasize is that of learning to seek attention and help when needed; you are ready to live the love. I repeat you are the sign of balance, but also of anxiety (am I anxious to repeat it?) And after having spent these very important twelve months for your sign, you will eventually find inner peace, calm and serenity. Jupiter was the wind that dropped dry leaves. It will be difficult now to go back; you feel the masters of your life and you will taste freedom! Everything that you have experienced now allows you to be more aware of what you want. It is a good starting point for creating a new stability, not just inner one. December is a great month, rich in novelty and unexpected gifts: like love that will enter your life with a force and impetus never known before. You have so much confidence in yourself that you will get whatever you want or dream. Jupiter for a month in your sign is already beginning to ask for a major transformation, a metamorphosis. Clearly, at the beginning, you can put some resistance and then be a bit nervous, but it’s all a greater good. You are and you will always be a sign that will continue your search for the meaning of life, the mission to be pursued. You will never stop being a visionary. You always want to answer your questions about why and how things happen, in good and evil. This month, on the other hand, lets you finally rely on what you already know and begin to apply it concretely in your life. You have found your personal trust and your stability; you will now make it available to others with passion and joy. It is definitely a very important month for December the 21st, Saturn comes into your sign after 30 years. It will thus begin a period of profound transformation and realization. You will be asked to remove all the protections that keep you away from the emotions, from your feelings. From now on you will be increasingly called to share, delegate to allow you to enjoy the more free time. Start a phase in which you will build your new world. In December it will be your first stone. It’s time to build a new life that takes into account what you really are and want. The consistency you are requesting is aimed at making the best use of your vocation. It is the beginning of a new phase marked by the assumption of responsibility towards your realization. You are the only creators of your life and only you have the power to decide what to stay and to whom. It is important for you to understand the value of managing your resources, both economical and time-consuming. Do not waste them. You are finally changing your life, and definitively there is a desire for newness, to do something different to awaken your passion. This month for you is about going beyond everyday life and the limits with which you have lived so far. You are a “boundary” sign between the visible and the invisible. Through you, it’s possible to go to a higher dimension and, again through you, to return to this one. You are a living portal and now you know that if you really want to, you can change and replace what you don’t like what you want. Go get it!